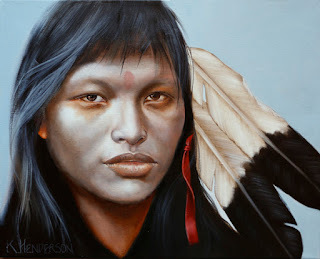 I had a request for a few American Indian women paintings. Here's the first one. This Plains Indian women wears eagle feathers and a red ribbon in her hair.